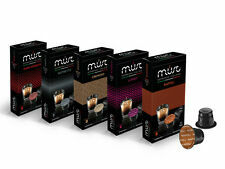 New Nespresso Original Capsules * All Flavours: Mix&Match * MOQ= 75 capsules! New Flavors added to the list, check the description! Material: 304 stainless steel. Use effect: the coffee oil washed out is rich, the taste is good, and the life is long. If item is defective after 3 months, you can still send it back to us. We will send you a new one after receiving the defective item. Trending at C $22.63eBay determines this price through a machine-learned model of the product's sale prices within the last 90 days. BUY 3 PACKS & GET FREE UK POST! Official Sealed Stock! 8 T Discs Roast and Ground Coffee and 8 T Discs Concentrated Ultra Filtered Cream Preparation with Sugar and Cream Liqueur Flavour, for Coffee Based Drink. Trending at C $27.97eBay determines this price through a machine-learned model of the product's sale prices within the last 90 days. New flavors added! Check in the description! 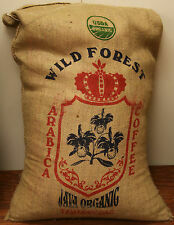 Description: Green coffee is the raw, not undergone the process of roasting coffea tree beans. Due to different chemical composition (roasting process changes the chemical composition of a bean), green coffee tastes different. It is milder and almost completely devoid of bitterness. Currently by leaps and bounds wins hearts of new consumers. 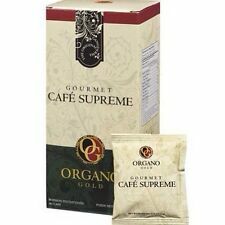 Usage: 10g (3 tablespoons) of ground green coffee pour with water of temperature 90°C. Brew for 5 minutes, and after this time it will be ready for consumption. 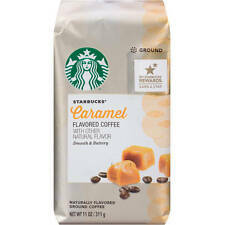 Ingredients: Green coffee minced beans 100% Country of origin: Brazil Best before: Expiration date and batch number are listed on a label on the back of the pack. Store at room temperature in an airtight container and out of the reach of small children. 2 Refillable/Reusable K-Carafe Cup Filters by Housewares Solutions for Keurig 2. 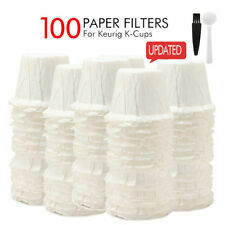 5 out of 5 stars - 2 Refillable/Reusable K-Carafe Cup Filters by Housewares Solutions for Keurig 2. 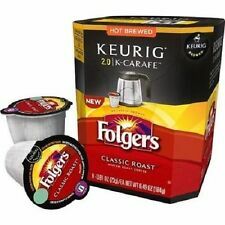 1 product rating1 product ratings - 2 Refillable/Reusable K-Carafe Cup Filters by Housewares Solutions for Keurig 2. It is refillable, can be used repeatedly. Material: Stainless Steel, Aluminum foil. Bottom holes ensure a good filtration and strong original flavor of the coffee. Made from premium stainless steel, safe and healthy, durable to use. Freshly Roasted beans ! Net Weight 227 g (8 oz). A generous kick of vanilla makes this coffee a deliciously satisfying treat! DO NOT OPEN A CASE I RESOLVE ISSUES BETTER. I CANT FIX IT IF I DON'T KNOW ABOUT IT! A: These foils can be used with all brewers types. Q: What brewers will the Foils work in?. A: My-Cap foil is made of aluminum and a high temperature adhesive. A: Just once. Espresso 1.35 oz. ; Diavolitto, Altissio, Voltesso, and Decaffeinato Intenso. Pure Black Instant Coffee - 100 SACHETS. - Model : G7. Pure Black Instant Coffee. Patented dry-process intant coffee is exceptionally flavorful. 100% soluble in hot or cold water. Authenticity Promise. FLAVIA ALTERRA PEETS STARBUCKS DOVE BRIGHT TEA MIXER CASE - SUPER SALE - FRESH! 84 cups Tassimo Nabob Coffee , Variety Pack , 100% Colombian, for Tassimo brewers. 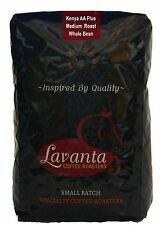 28x Breakfast Blend Coffee. 56x 100% Colombian Coffee. Fill about coffee grinds. press the coffee. Applicable coffee machine type: compatible with BELR coffee machine, drip pot. Perfect Gift for Coffee Lovers. Due to the light and screen difference,the item's color may be slightly different from the pictures. New Elite Turkish Black Coffee In Bag Elite the original flavor, the most popular coffee in Israel. Kosher coffee made in Israel. Size:100g\3.5oz. Brand New. 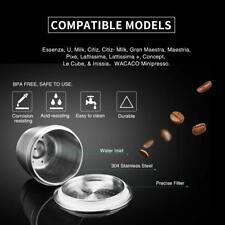 Compatible with Nespresso Coffee Machine Filter. CitiZ & CitiZ Milk. Note: The real color of the item may be slightly different from the pictures shown on website caused by many factors such as brightness of your monitor and light brightness. Flavia/Alterra FRENCH ROAST Coffee 2 rails A184 and 3 rails of french vanilla.